Whitetails Unlimited recently awarded a $4,700 grant to FHFH, which brings the conservation group’s donations to more than $40,000 during the past decade. Farmers and Hunters Feeding the Hungry (FHFH) was founded in 1997 by Rick Wilson as a ministry of his local church in Hagerstown, Maryland. 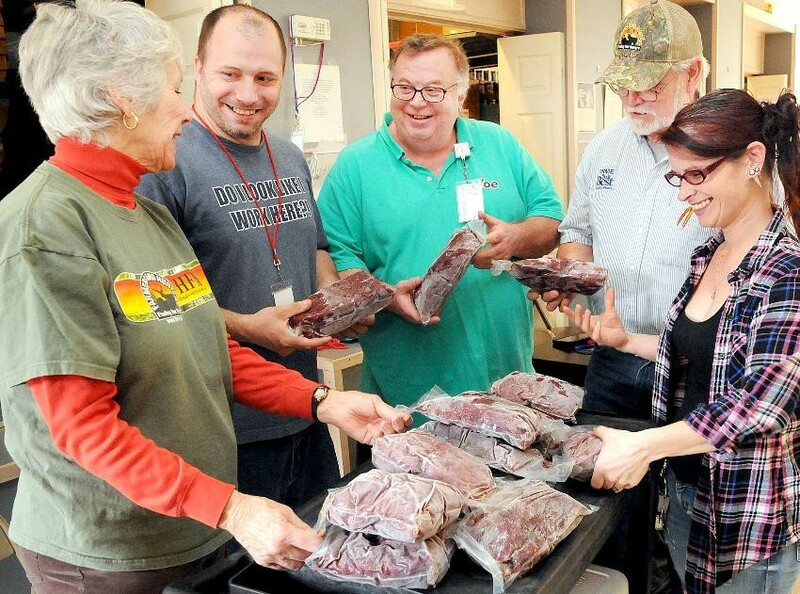 The goal was to encourage hunters to donate deer to participating butchers who would then process the venison and distribute it to food banks and other ministries. FHFH would raise money to cover the meat processing expenses so the venison could be donated and distributed free of charge. Thankfully, the ministry was very successful. In fact, the Maryland DNR requested that it be expanded statewide the following year. Fast-forward to today, and FHFH now has more than 130 local coordinators working to feed the hungry in over 25 states. Since its inception, FHFH has produced more than 19 million servings. This program is one of the best stories in the outdoor industry. To keep FHFH working, individuals and corporations continue to step up to the plate to show their support. As an example, the non-profit conservation group Whitetails Unlimited (WTU) recently awarded a $4,700 grant to Farmers and Hunters Feeding the Hungry. Over the past 10 years, WTU has contributed more than $40,000 to FHFH. 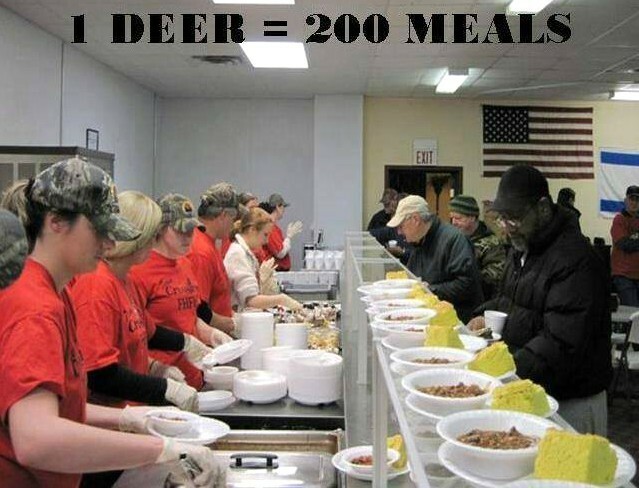 Of course, hunters in some parts of the country are able to harvest more deer than they can eat or share with their friends and family. In addition, farmers are issued management permits to reduce deer numbers that are damaging their crop yields. Some farmers also have livestock they are willing to donate. FHFH focuses on partnering with butchers to cover the costs of processing meat from deer, other big game, and livestock. The meat is then distributed to area food banks for those in need. FHFH was started in 1997. Since then, it has produced more than 19 million servings. Perhaps you’re curious: Which outdoor brands support FHFH? Click here to see a list of National Partners/Sponsors. You’ll recognize many manufacturers such as Buck Knives, Cabela’s, Henry Repeating Arms, LEM Products, Mathews, Mission, Mossy Oak and Redneck Blinds. As for which companies support WTU, that list is also impressive. Click here to see the more than 100 outdoor companies that are current WTU National Sponsors. FHFH and WTU are both worthwhile and important organizations, and it’s great to see so many outdoor companies willing to lend their financial support to these great causes.